Set yourself a realistic goal for prepayment. 1. What Are the Benefits of an Accelerated Mortgage? 2. How Much Will I Save by Paying Bi-Weekly? Consistent prepayment on your mortgage saves you considerable money over the life of the loan. In the first years of your mortgage, especially if you got a longer term mortgage such as a 30-year fixed loan, most of your regular monthly payment goes to pay the interest. Any prepayment goes directly to the principal, effectively jumping you forward on the payment schedule. If you have ever looked at a loan payment schedule, you can clearly see the benefits of paying extra to the principal on your mortgage. It is especially valuable during the early years, when even a small amount of prepayment can move you forward several months on the schedule. You can use an online mortgage calculator to enter the details of your loan and see how this works. Let's say your regular mortgage payment is $1,000, but you pay $1,100 each month. After three payments, you will have your principal paid down to where it would have been after four payments if you had made just the required payment. Many people set themselves a goal to make one extra payment on their mortgage each year. This cuts about four years off of the total life of a 30 year mortgage. This can be done with a lump sum at the end of the year or by adding one-twelfth of your regular payment amount to each month's payment. 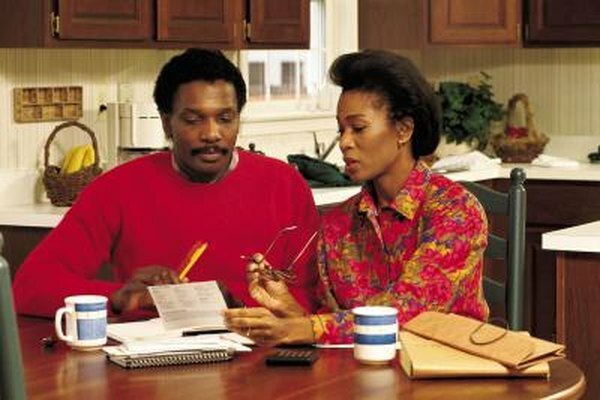 Some lenders offer an option for biweekly payments. They automatically deduct half of your payment amount every two weeks. Because there are slightly more than four weeks in each month, the effect of this strategy is that you will have paid one full extra payment by the end of the year. If you are interested in this strategy, make sure you are signing up directly with your lender. There are third-party companies that try to set themselves up as middle men between you and your lender for biweekly payments. The fees they charge you negate much of the good of prepayment. If your goal is to shorten the life of your loan through prepayment, consistency is more important than when you make the extra payments. Whether you choose to pay a little extra each month or a lump prepayment once a year, it is important that you set a goal you will be able to maintain. Biweekly payments are an attractive option because the prepayment becomes automatic. You can also set up monthly auto-pay through your lender and request that the extra principal payment comes out each month. Making it automatic encourages consistency. If you plan to make a full extra payment at the end of the year, you may not be able to come up with the money when the time comes. There are other small advantages to prepaying monthly instead of yearly. With each regularly scheduled payment on a fixed rate loan, you pay a little more principal and a little less interest than on the previous payment. So the sooner you prepay, the further ahead on the payment schedule you will jump. Prepayment in the first month does you more good than waiting until the 12th month. Over the life of the loan, you will pay your loan off a few months faster if you prepay monthly instead of yearly.